Boise – Paulette Jordan, the Democratic candidate for governor, was out of state Saturday at the left-wing Teen Vogue Summit and hung out with the likes of Al Gore, Joy Reid and other “progressives” whose political views are far to the left of most Idahoans. Teen Vogue, when it’s not reporting on pressing matters such as ” Boys of Summer: The 11 Male Models You Need to Follow Now (Cue the swoon),” has morphed into a leftist propaganda outfit. The summit featured speakers who favor sweeping gun-ban legislation, sanctuary cities and a variety of other “progressive” policies. Jordan spoke on a panel moderated by MSNBC host Joy Reid, who is in the midst of a controversy over her past blog posts portraying Sen. John McCain as a mass shooter and appearing to agree with former Iranian president Mahmoud Ahmadinejad’s proposal to forcibly locate Israeli Jews to Europe. 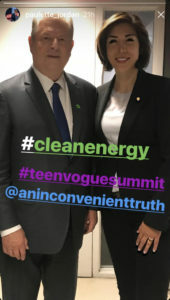 Jordan posted photos on Instagram of herself with Al Gore at the event. 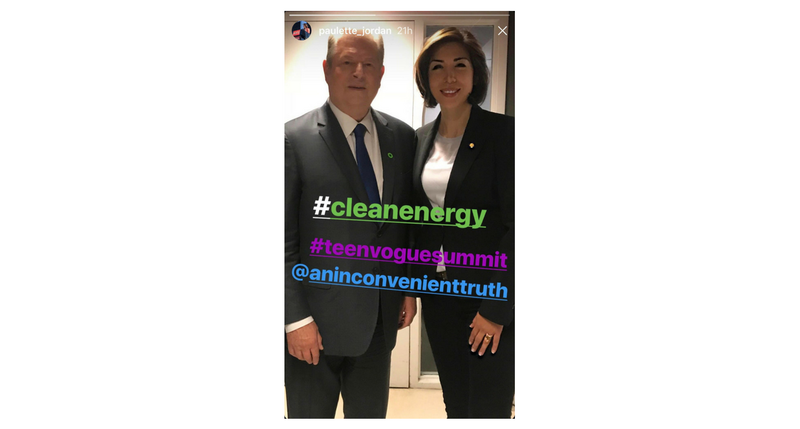 Jordan is no stranger to Gore-like rhetoric herself; in an interview with The Young Turks last month she falsely claimed Idaho is one of the most polluted states in the nation (Idaho currently ranks 45th for carbon dioxide emissions). “Paulette Jordan continues to show that she is far outside the mainstream of Idaho values,” said State Republican Party communications director Mary Strow. “Despite her occasional attempts to portray herself as a moderate, her extreme statements and the organizations she chooses to associate with prove otherwise. “She says she is a strong supporter of gun control and mandatory registration of firearms. She wants government-run health care. She supports sanctuary cities. She has accepted the endorsements of far-left organizations such as People’s Action and its partner United Vision for Idaho, Our Revolution, and Indivisible.